Forget all in the world for hours and get lost in The Infinite Sea that Rick Yancey created for us. Why mention that it is honest? Are they not all honest? Yes, they are but this one felt like it really struck a couple of nerves more than others, and I decided to pour out everything like never before. 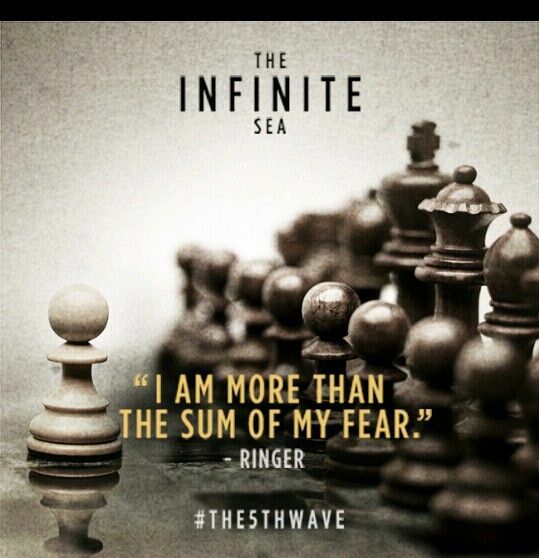 This contains spoilers, so read only if you have read The Infinite Sea. I had my doubts when I started the book, and I started the book because I liked The 5th Wave’s Ending, this one though, took me more than any other book to read, and it was not because it was bad but because nearing the end, when I was 80% done with it, and Ringer was been transformed into an enhanced human and there was nothing to do about it, I stopped reading for some unknown reason, I could not bring myself to finish it because then there will be no more. Honestly, I had 30 minutes of book left, I know it was that time because Moon Reader tells you how much longer you have to go, and yes I do read Epub, ebooks, because I cannot have my copy of The Infinite Sea just yet, but when that time was set and the book was almost over I didn’t read for a month at least, then this morning I sat down, started and didn’t get up until I was done and it was awesome, and full of WTF’s little moments, and in the end he told me what I’d always known, that he is alive because he is Evan Freaking Walker, and in the third book, Yancey will probably kill him again and this time for good, because apparently that is a thing among authors these days, to kill off the main characters. As for the rest of the book and not the last 20% which is what I have fresh in my mind, I must say that the first chapters did not hold me, then after that was done I read from 25% to 80% in about two days, taking breaks for work and food, and it held my attention which somehow Rick Yancey has the ability to do even when you do not understand at times what is happening, and who is dying, and all the philosophical questions about the world, despise all that you still want to read more. I recommend it, if you read The 5th Wave (I did, here are my thoughts) then you are going to like The Infinite Sea that is all I have to say besides what I already said, of course. Thank you for reading and I hope you read it, or leave me a comment or two on what you thought of the book.